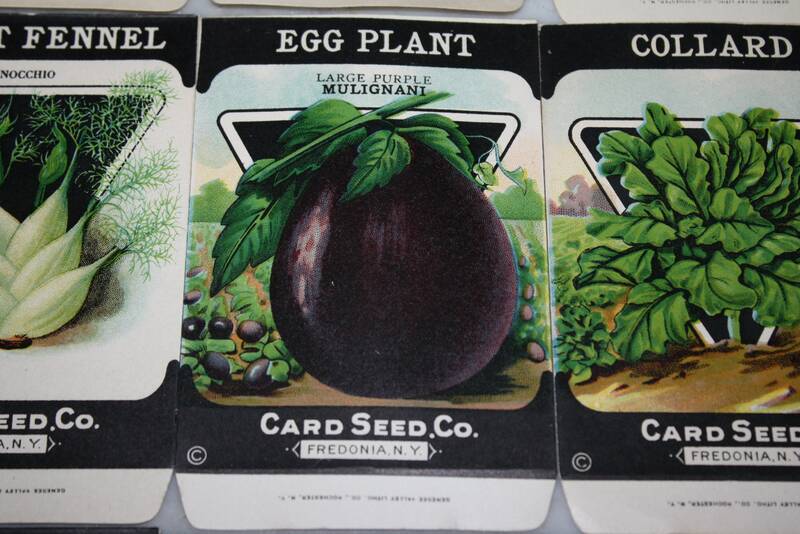 Lot of 20 Vintage Unused 1920s Lithographed Seed Packs; Card Seed Co., Fredonia NY Warehouse Find! 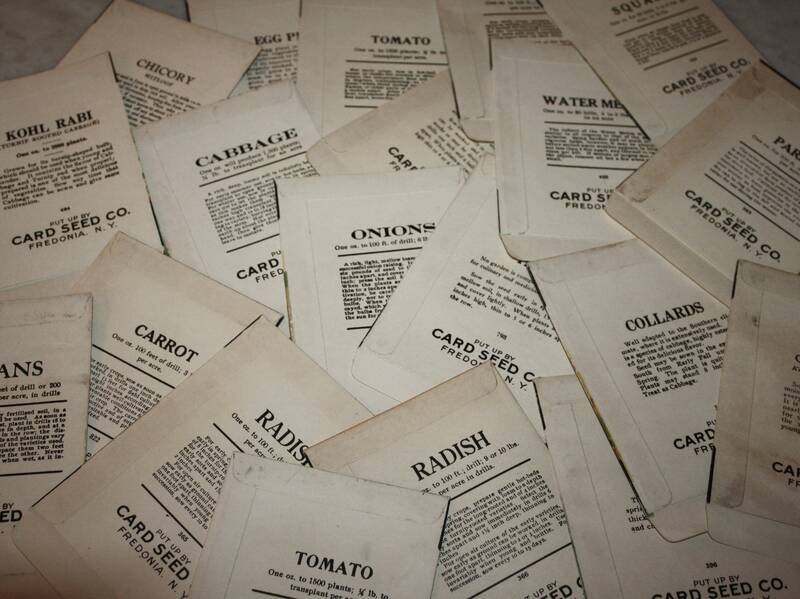 Old Authentic Packets! 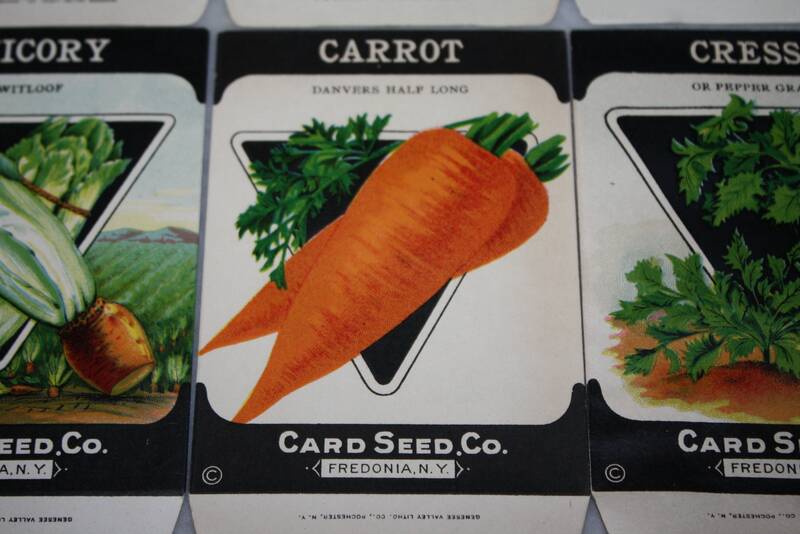 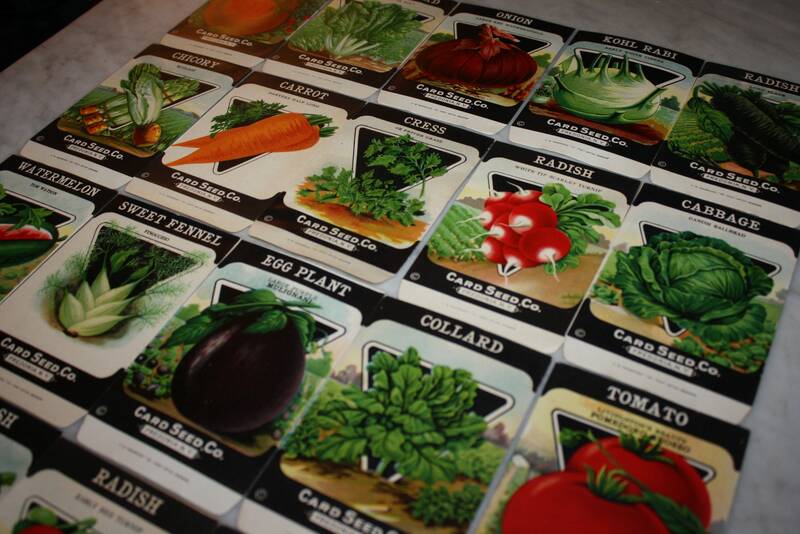 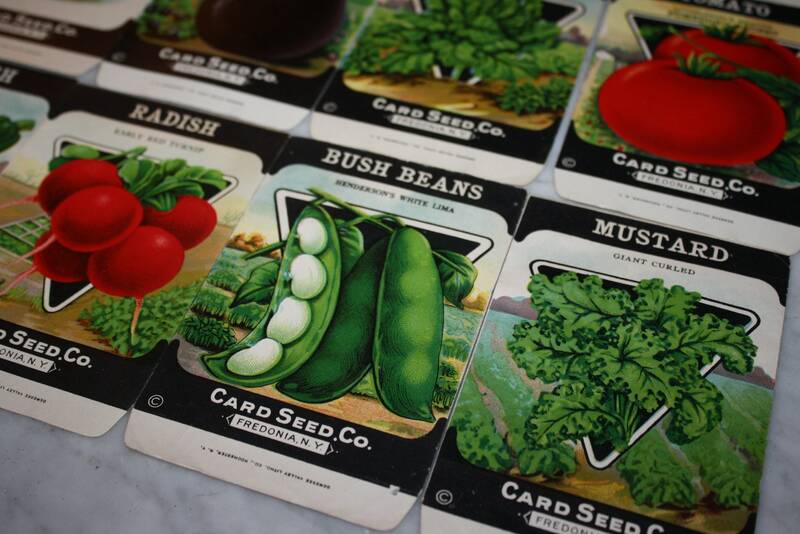 Exceptional collection of 20 different seed packets from the Card Seed Company of Fredonia, NY. 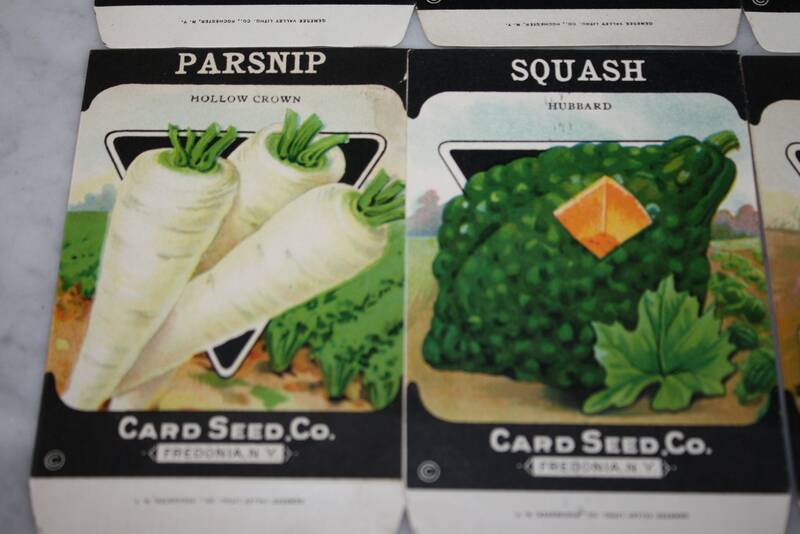 Never used and stored away for decades, these lithographed packs were found in a warehouse a number of years ago, in very good condition. 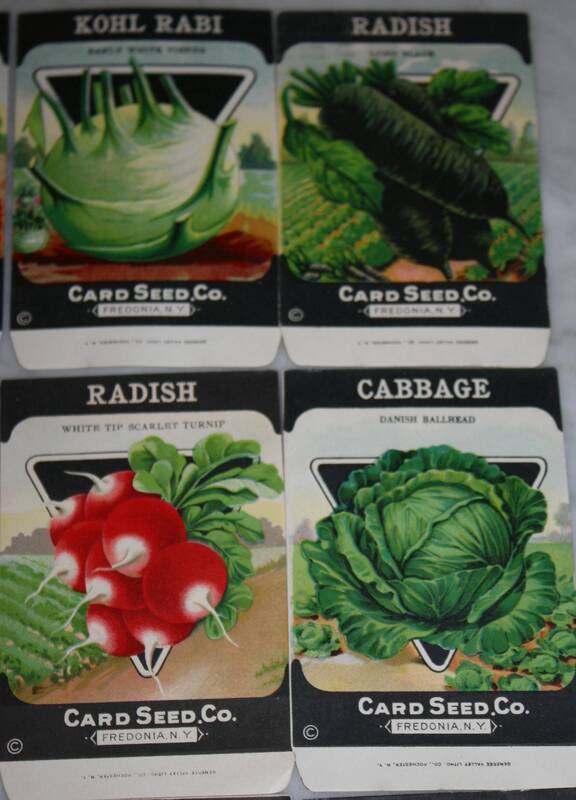 They have vivid colors and look great when framed and hung on kitchen and dining room walls! 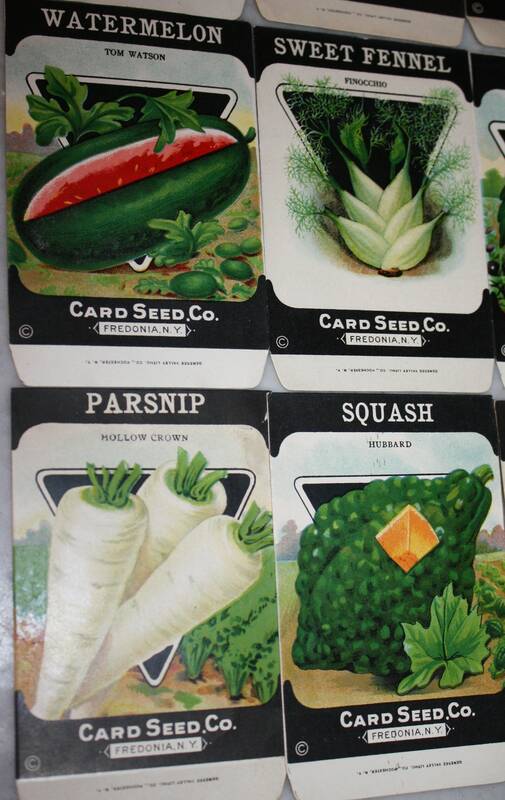 This assortment contains some of the more scarce packets that are normally sold individually at premium prices. 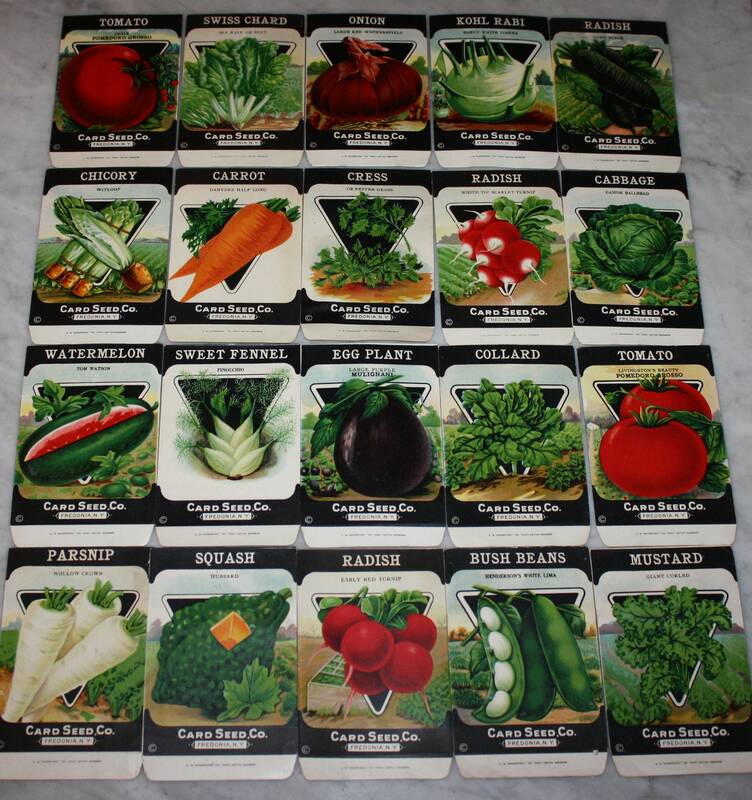 Buyer receives every packet shown in the photos! 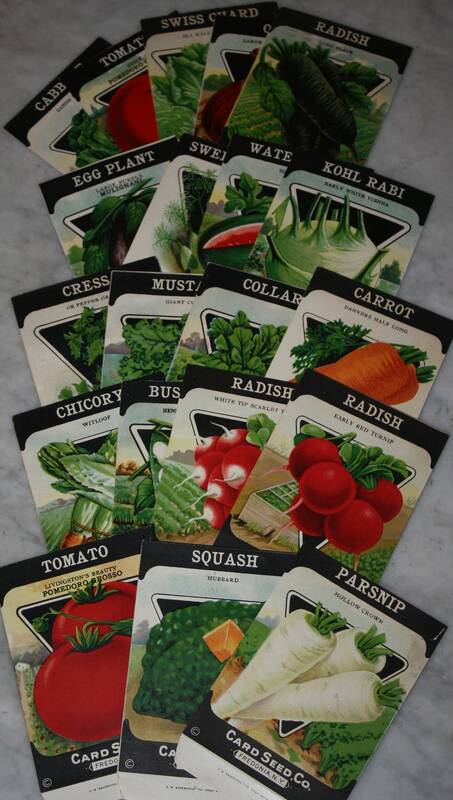 Great value, only 1 group available!